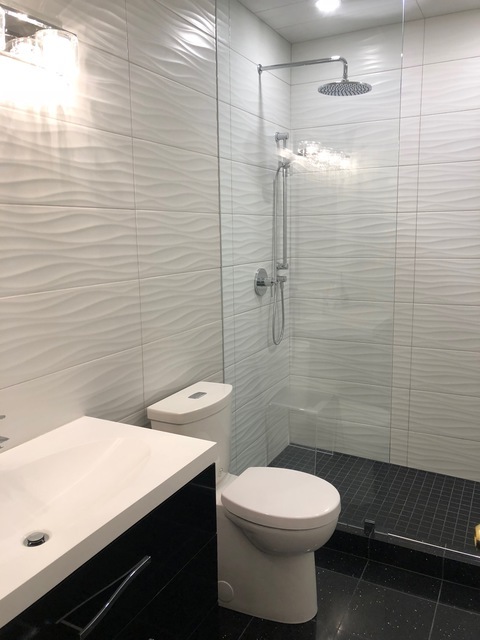 Bathroom renos can be complicated so you want a contractor who knows their stuff, is honest and is respectful of your wishes and properties. Taras is all of that and more. He is a master craftsman committed to quality work and attention to detail. He discussed every design decision with me before proceeding. He showed up every day at the agreed to time and worked HARD. I mean really HARD! He and his crew are polite and respectful and were a joy to deal with. Taras effectively coordinated with the sub-trades so there were no delays and no surprises. He maintained good communication throughout the project and also had a clear contract with no weasel words. I appreciated that Taras didn't try to dovetail another job with mine, so there wasn't a day when he went on someone else's job. I appreciated that. At the end of every day, he reviewed the work done with me, cleaned up and removed the tools. I am delighted with the results. Check out the pics! What it looks like now (nice huh?) and before. Amazing right?! I have already recommended the company to my friends and wouldn't hesitate to hire them again. Thank you Taras!! Thank you for your kind words. I take great pride in the work I do. I must say this turned out to be one of my proudest, if not a master piece... very close to it. It was a pleasure working with you.